Swiss company Bones Inc. has introduced a new PDA incorporating RFID to help the blind and visually-impaired negotiate everyday tasks more easily. Users of the Milestone 312 can attach RFID tags to household objects like clothing or CDs and then scan them with the PDA’s embedded Texas Instruments multi-standard RFID reader. 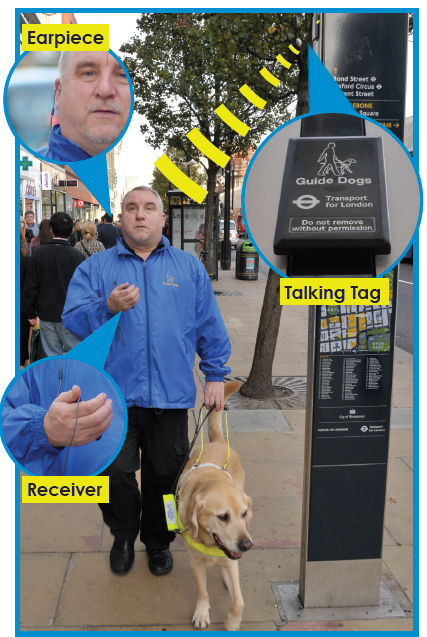 Once scanned, the user can record voice notes identifying the objects using the PDA’s speech capability. Future scans of the object will offer an audio label synced to the tag. The device can also be used outside the home, to help navigate public transportation, shop, or even to explore museums. Swiss city St. Gallen has installed reference tags for all public transport.